Members of the SBA General Board serve on one of six standing committees. Each committee’s job is to help promote the SBA’s functions and purposes. The committees are supervised by the Community Affairs Director, and all committee activities are overseen by a Chair appointed by the Executive Board. Learn more about each committee and its members below. Members of this committee plan, coordinate, and decorate for the annual Barrister’s Ball charity event. Barrister’s Ball takes place in February and is the MSU College of Law community’s opportunity to relax, socialize, and give back to students. Scholarships are awarded to students at the event. Committee members may work with the Fundraising committee to coordinate acquiring sponsors for the event. 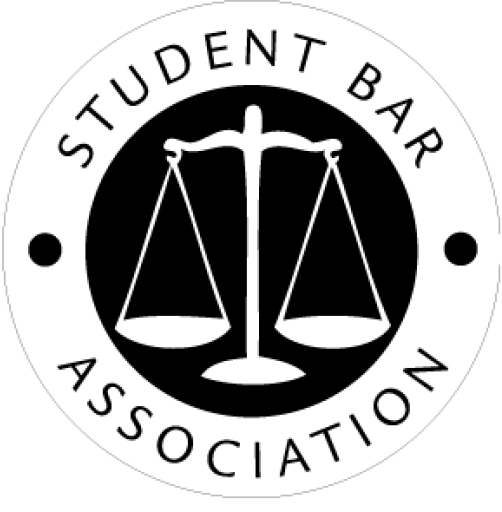 Members of this committee will plan, coordinate, and facilitate community service efforts on behalf of the SBA and the MSU College of Law community. Committee members will assist in the organization of schoolwide donation drives. Additionally, members will work to seek off-site opportunities for student involvement in the greater Lansing area. Members of this committee plan and coordinate programming and functions that support students’ physical and mental health. Additionally, this committee plans off-site functions to support a vibrant and cohesive school community. This committee may, on occasion, coordinate functions with the Fundraising committee. Past events include off-site socials and Halloween events, athletic tournaments, and Barrister’s Ball fundraisers. Members of this committee review and disburse SBA funds to recognized student organizations. Such disbursements are government by the financial and budget guidelines. Committee members will also be assigned to serve as liaisons to student organizations to facilitate the fund request process. The Finance Committee is chaired by the Finance Director. Members of this committee will be responsible for creating and executing fundraisers on behalf of SBA. The committee will coordinate the design and production of SBA apparel. Additionally, members will be responsible for communicating with local businesses to have a successful Finals Break Room for both the Fall and Spring semesters. Members work with the Barrister’s Ball committee to support efforts to acquire sponsors for the event. Members of this committee support the SBA by reviewing organizational policies and ensuring compliance. Members review and revise the SBA’s government documents, including the Constitution, Policy Manual, and By-Laws. Committee members are encouraged to assist or lead in drafting amendments to propose to the General Board.